I am VERY DISAPPOINTED in you. - My journal. Yes. So this week's poll over at FADPOV is "Who wins the Coat of Awesomeness Award?" And for some unknown Godless reason, Spike's leather duster is winning out over Sylar's black coat. Why aren't you people doing something to rectify this situation? Huh? And before you ask, yes, I do rank Sylar's coat ahead of Captain Jack's aviator coat. Jack's coat billows and flaps, like an insecure puppy that's begging for your attention. Sylar's coat just calmly assumes you will understand that it is awesome without any additional prompting. Dean Winchester's leather jacket? Please. Though if Metallicar had a jacket, I admit I would be tempted to vote for it. I think we all know who the REAL cool guy on that show is. LOOK NOW! Do I get a prize??? Whoo-hoo! You win...you win...uh, you win this picture, in which there is borderline adorkableness but NO, I repeat NO, dancing! 16th-Sep-2007 06:54 pm (UTC) - THANK YOU!!!! 16th-Sep-2007 07:08 pm (UTC) - Re: THANK YOU!!!! Either it's early or I am Mohinder, but I can't find the poll. I wanted to do my part and rock my vote, but it's just not working out for me. Did I miss it or something? When you go to the homepage, it should be in the upper-right corner. The home page has been widened a bit because there was a lot of whitespace--you might check to see if you need to scroll over to the right a little. I totally knew that. I was just um.... testing you to see if you knew where it was. And you did, so um, good work on that! Vote confirmed and recorded! NOOOOO!!! I was not prepared! That could seriously damage my early afternoon productivity. ::tries to look away... and fails:: Remind me to never again reveal my weaknesses in any place to which you have access. *gasp* Your moral turpitude astounds me. I shall be taking notes on it, for self-improvement purposes! Well, the coat has extreme iconic significance because for a number of people--myself included--that's the moment where we went from simply thinking "this character is very complex and absolutely fascinating to watch" to being completely stunned by how attractive he was. And by stunned, I literally mean unable to think. That was not a feeling I'd ever had before toward Sylar, and I also am not the sort of person who has completely thought-stopping reactions of attraction like that towards men, real or fictional--I didn't even do that when I was a teenager. That's what got me started in the online community: I was trying to figure out what the hell was wrong with me, and I breathed a sigh of relief when I saw that there were a lot of other people who saw him in that episode--in that coat--and were having the same extreme reaction. I'll generalize, though anyone from the TWoP boards who disagrees with my take should say so: the obssessive discussion about the character over the summer has been as much about trying to figure out why his appearance and behavior in Landslide flipped some switch inside our brains to make us feel that way about him, as it is just about Sylar. People call out different moments in the episode that were the flipping point for them, but they all involve that coat, so it is a big part of the discussions. It has now reached a point where mentions of the coat are as much tongue-in-cheek as anything, but still, it was a large factor. And the coat itself is important. I've never seen one quite like it before, and frankly if I saw a man wearing it real life I probably would not be impressed. But on him, it somehow adds to his appearance. He actually does wear it in at least 3 prior episodes (5YG, the Isaac murder scene in .07%, and the Dale murder scene in Unexpected) but he never has it buttoned up--it's just hanging open and it could be any old trenchcoat. Buttoned, you can see that it's unusual and distinctive, a visual symbol of what he wants out of life. It's also got a rather theatrical appearance, which makes it a perfect match for Sylar's theatricality. And its tailored lines and buttons are vaguely uniform-like, which I think is why it gives him a more commanding presence even though it's slightly feminine. 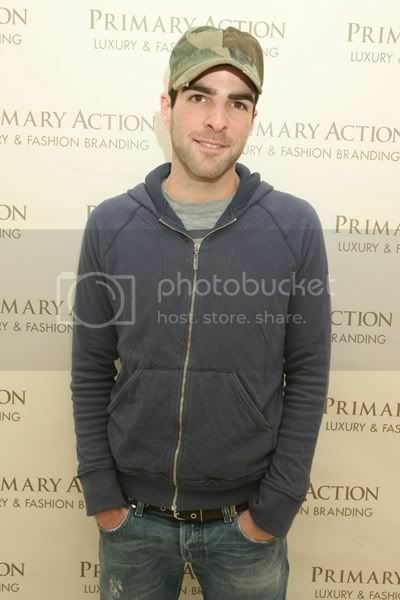 And of course, because I did not find him intensely attractive before he wore it, it's just impossible to separate out how much of Sylar's attractiveness is due to the man himself, and how much is due to the way that coat makes him look. The Ramones t-shirt makes me think, "He's cute in an odd sort of way." That coat makes me think...things I really shouldn't say online, in case any of my real-life friends ever find this LJ. Also also? Torchwood is fun. I need to find out if anyone has managed to write slash about it, considering that the text of the show pretty much consists of slash. Yep, I have a BA in POPC. I kind of fell into it accidentally. Spring of my freshman year, I said, "Well, my scholarships pay for 18 hours of classes and I'm only taking 15, what else could I take?" (I was that kind of geek.) The POPC department was offering a class in fantasy literature, and I was hooked, and changed my major the next year. Of course I've done nothing with it in my working life, but it was a wonderful degree to earn. This page was loaded Apr 19th 2019, 2:38 am GMT.